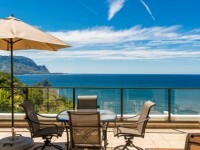 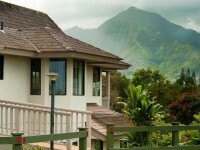 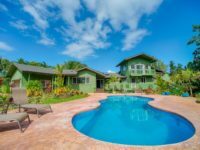 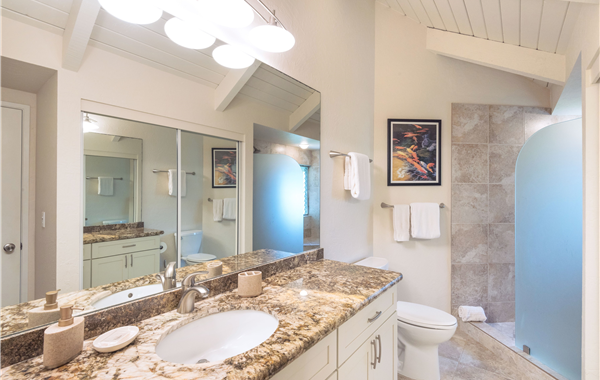 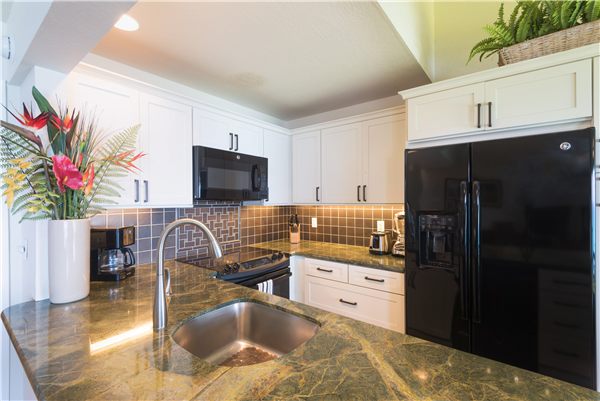 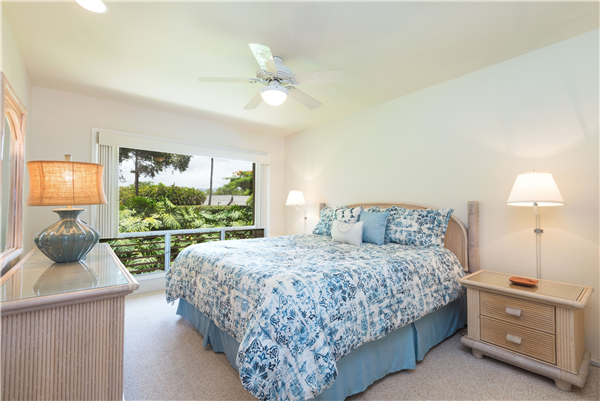 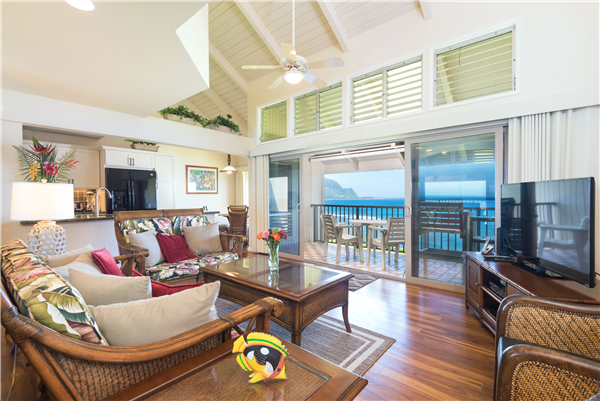 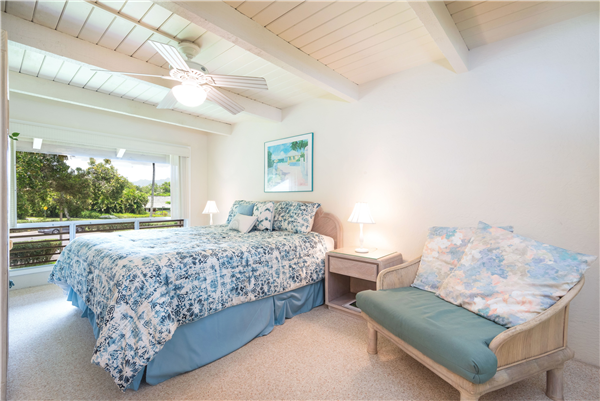 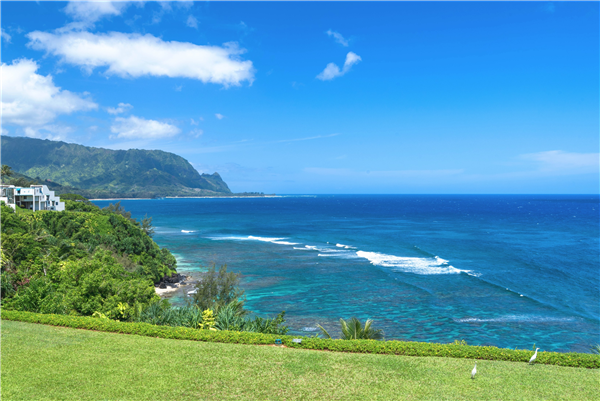 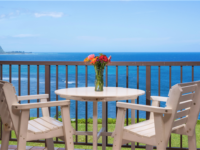 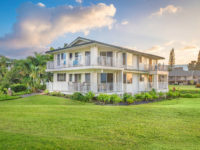 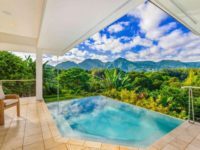 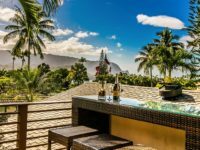 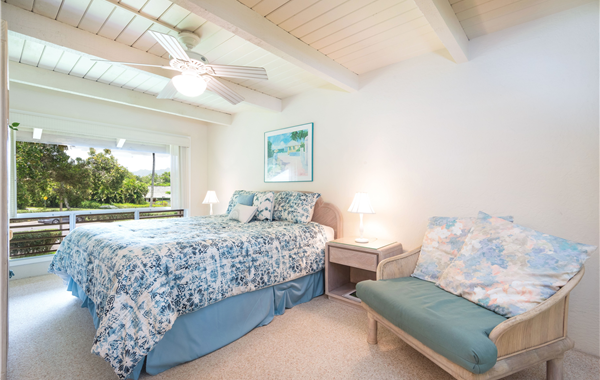 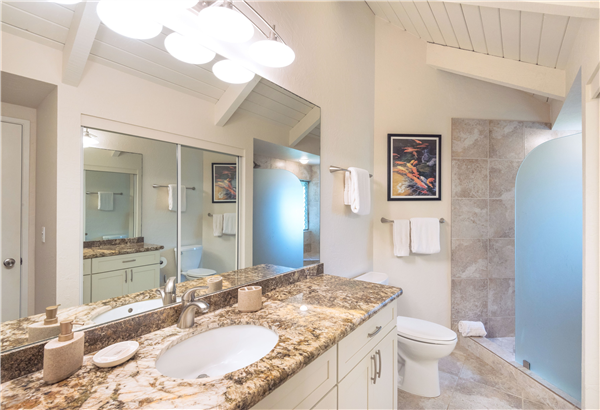 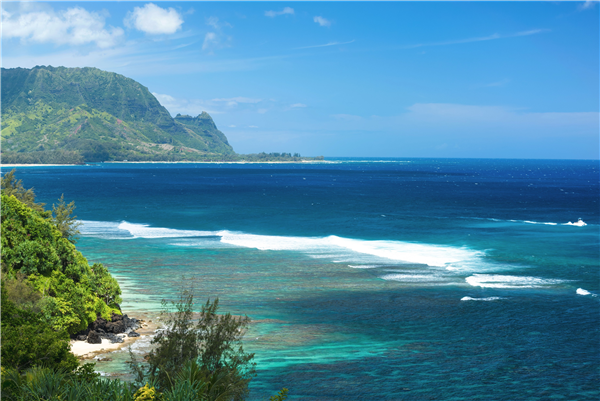 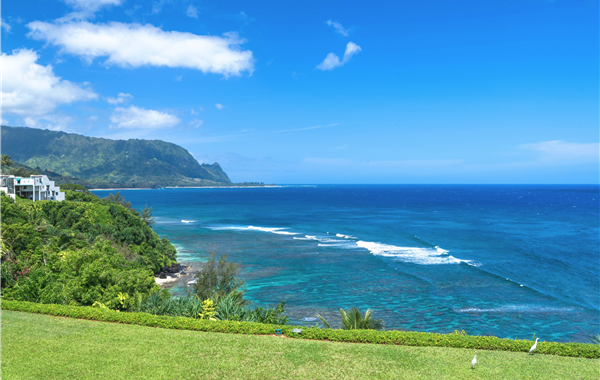 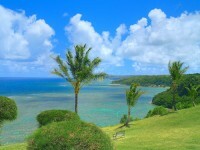 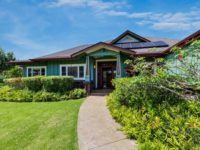 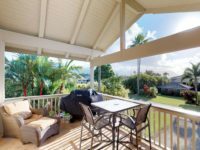 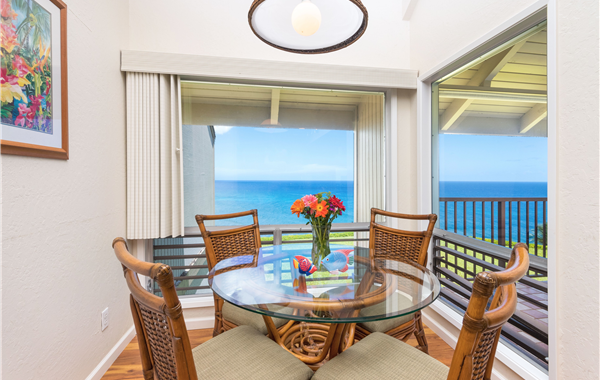 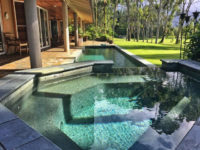 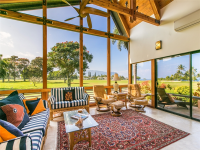 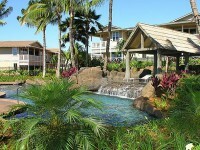 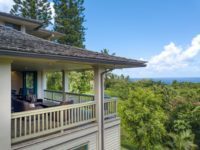 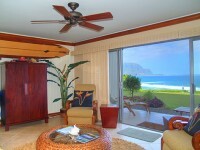 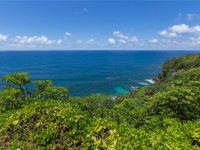 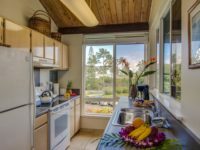 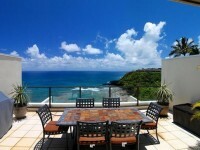 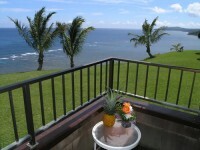 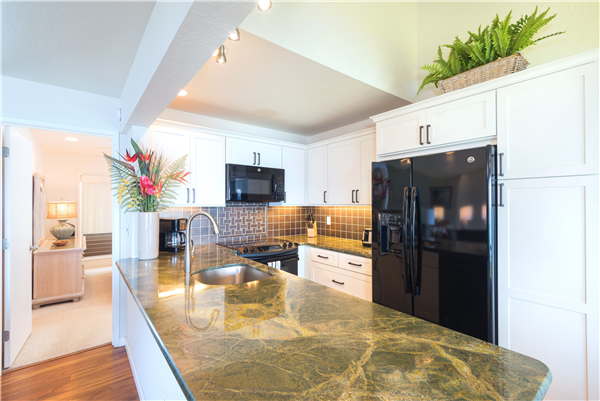 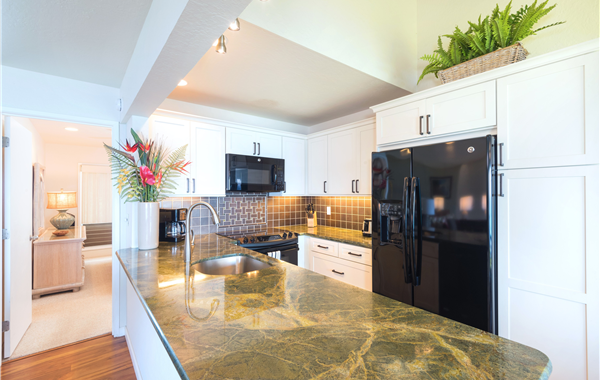 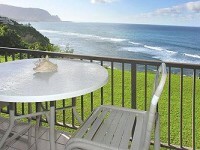 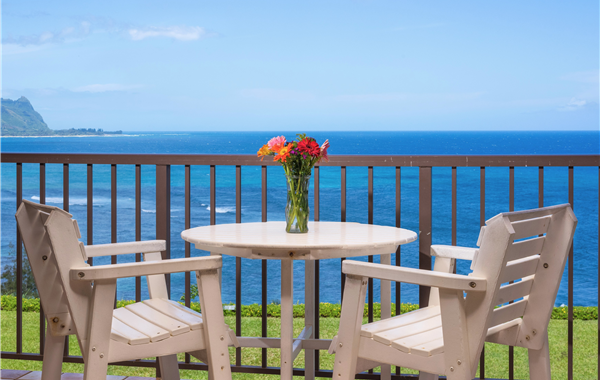 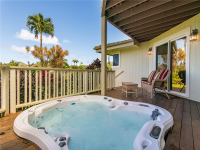 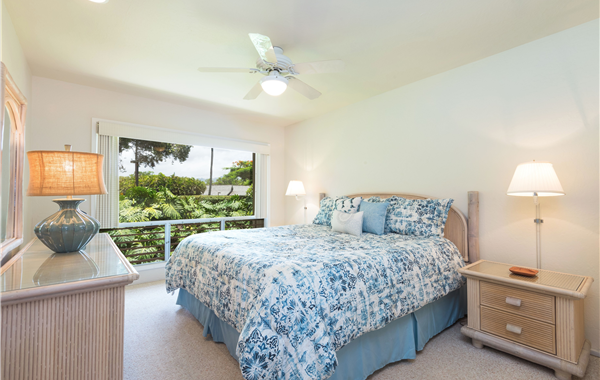 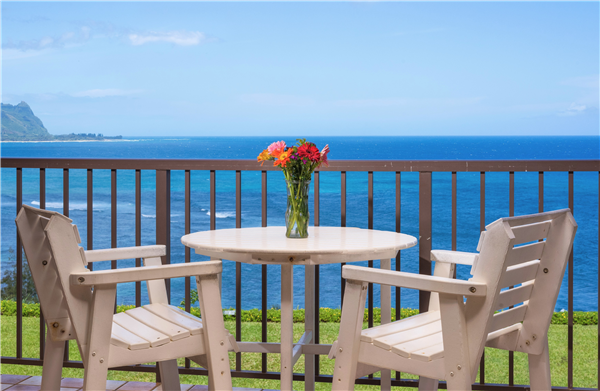 PRINCEVILLE, KAUAI VACATION RENTAL: Relax and Unwind, be mesmerized by the beauty of Kauai and of this beautiful 2B/2B Pali Ke Kua Unit. 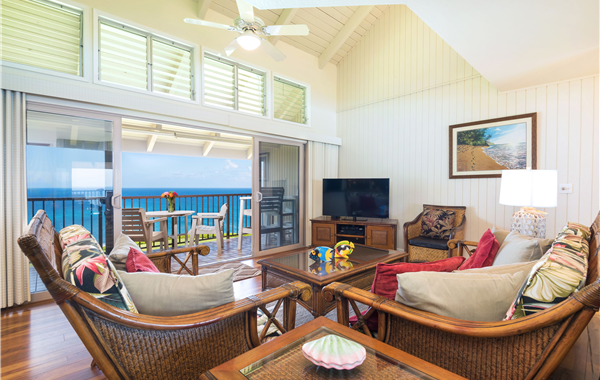 Breathtaking views of the ocean and mountains, upgraded kitchen, hardwood floors in living area, comfortable, spacious living spaces and much more are offered at Pali Ke Kua #205. 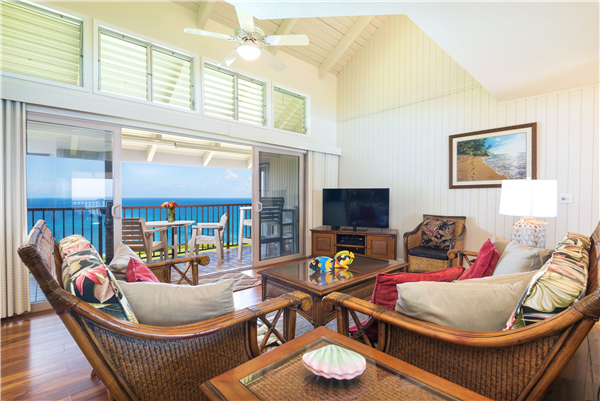 This two-story unit (no one above you) is ideal for one or two couples, families, honeymooners or for a single person look for a special place to retreat. 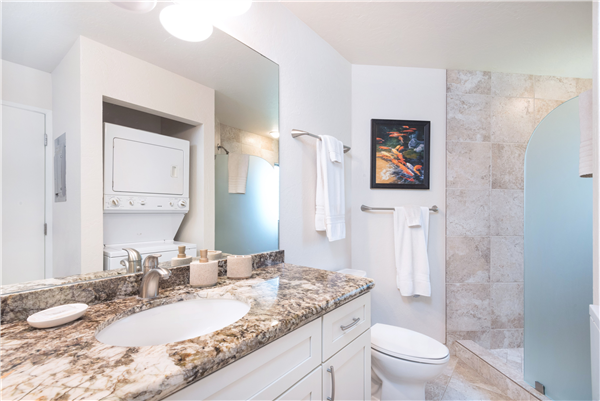 Large and lots of space to comfortably accommodate up to 4 guests, this beautiful condo boasts two large bedrooms with king-size beds and two renovated luxury attached bathrooms. 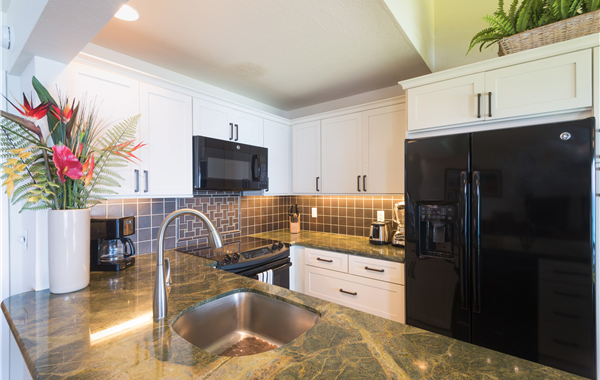 Fully upgraded and renovated kitchen is equipped with all the cooking utensils you will need to make a gourmet meal. 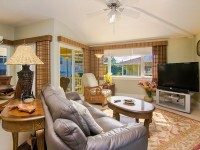 Living area is fully furnished with comfortable seating, large flat screen TV, DVD. 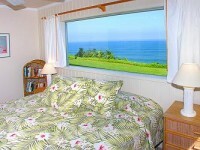 WIFI and Phone is also included. 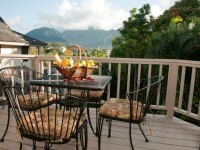 Enjoy the covered lanai that has ample seating to enjoy your morning breakfast or a glass of wine. A retractable shade on the lanai is also provided to reduce the sun’s glare during the summer months. 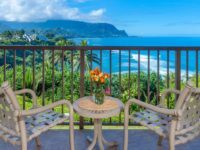 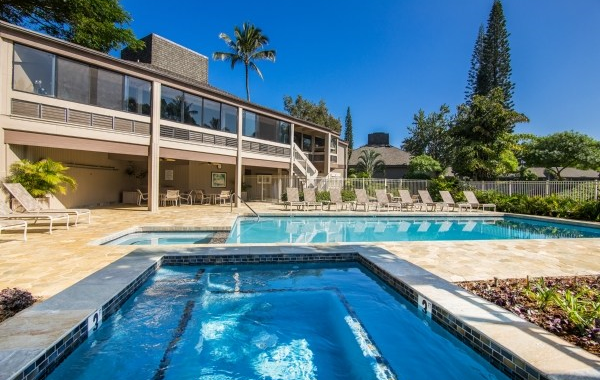 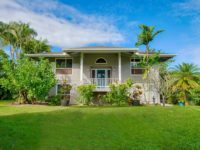 Amazing location, this unit located in Pali Ke Kua features a nice swimming pool, jacuzzi and an on-site restaurant, a short hike/trail to the beach, walking distance to St. Regis and a short drive to Princeville Shopping Center.